The J. 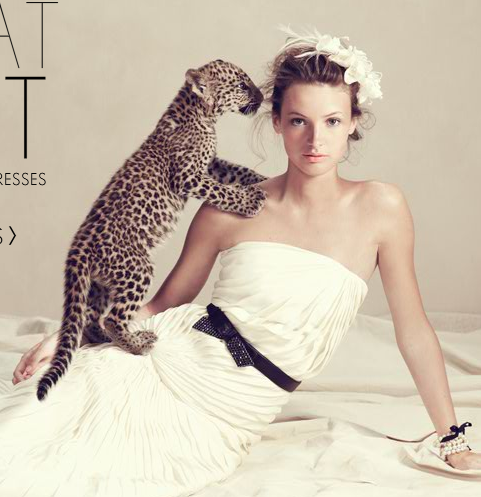 Crew holiday catalog hit my mailbox this weekend, and I couldn't help but notice this wild bride's little leopard friend. Very cool. That third dress is pretty wild! Hey Pais: The Exclusive Catsparella Interview!